Have You Considered Installing Underfloor Heating? Having underfloor heating installed in your home isn’t just about the luxurious aspect of things, there are many other useful benefits in having it installed too. We’re going to be go over this here, and then you’ll be able to make an informed educated choice over whether or not you’d like to have underfloor heating installed in your home. Despite the initial investment, underfloor heating will save you money in the long-term. There are considerable savings to be made on energy bills as one unit can heat a much wider area than with conventional heating, and over time this can save you up to 40% on your utility bills. It’s also sustainable and environmentally friendly. There are two types of underfloor heating, this includes water based and dry. A water based underfloor heating system can sit underneath most types of floor surface. However, water-based systems are a little more complicated to install and a little more expensive. Having said that as mentioned earlier, you can make savings over the long-term on your heating bills, so it’s entirely possible to get back what you originally invested. The expense and complex nature of installation might go some way to explaining why homeowners tend to go with dry underfloor heating in the main. The pipes can be quite difficult to reach should there be any problems once you’ve had it installed. On the other hand dry, electric, underfloor heating is quite inexpensive to install in comparison to water based underfloor heating. There’s no pipework and this might explain why it’s much easier to install as well. It works particularly well on upper floors. It can be expensive to run though, and you’ll need to be careful about where you place furniture and any heavy items. Underfloor heating works well with solar panels and offers consistent heat in all rooms from the top to the bottom of the house. Even with your windows open, heat is retained and the reason for this is that heat travels upwards rather than outwards – and this is good news when you’re trying to keep your home warm on a particularly cold day. If you’re trying to get some fresh air into the rooms for whatever reason, opening a window can be a quick and easy way of doing it, and with underfloor heating the rooms will remain warm and cosy even with the windows open. Underfloor heating also offers smarter heating control, reduces wasted energy and produces cleaner, sharper air, which means there may be less colds, flu and viruses in winter. Radiators can make a room somewhat stuffy when they’re on a high level. Once you’ve had underfloor heating installed, you’ll no longer have any need for radiators and this means there’s also less opportunity for clutter, less dirt and dust, and all in all a healthier indoor environment. Should you ever decide to sell in the future, as part of the fixtures and fitting, underfloor heating is a great selling point and can really increase the value of your property. Are you convinced now of the value of underfloor heating in your home? If so, then get in touch with us here at Hometech, and we can talk you through your best options for your property and provide you with a quote. Don’t worry if you have a strict budget, we can try and come up with something that works for you. Underfloor heating will work with most types of flooring, but we can discuss that with you if you’re particularly concerned. We offer professional and safe underfloor heating installation with minimal downtime and no mess, we always clean up before we leave. Give us a call today! Looking For A Brand New Bathroom? As we leave the shorter days behind us and approach the lighter, sunnier season we’re bound to start looking around our homes and looking for those things that might need to change. The increased amount of light - and hopefully the sun’s rays - means we’ll see those faded corners, ill-fitting or worn out taps and handles and start thinking about a refurb. Today, we’re talking about bathrooms, and because we’re in the business of heating and plumbing, we see and work on a lot of them. The Hometech team is significantly experienced, so if you do decide to take the plunge you won’t be disappointed. We’ve a comprehensive all-trade service with a simple process offering minimal disruption and high quality workmanship. Your new bathroom installation, will be all you want it to be, and we can help plan it with you all the way to completion. We take the pain out of designing your bathroom. At Hometech we offer client planning and consultation to help design your bathroom so it’s unique to your needs. That way you get the bathroom you’ve always wanted. We give you customer satisfaction guaranteed – because we care. We’ll talk about the layout, and the possibility of working on creating more space, or at least the illusion of space. Or perhaps you want to fill up some space, perhaps the bathroom looks a little too large and you’d like to add storage, a few extra units to remove clutter from the floor – this is often a problem for both large and small bathrooms. Storage is important and we can figure this into your plans if it’s an issue for you. We’ll pay attention to all of the details, focusing on what matters to you so you’ll always have us listening and paying attention to what you want. We’re here to help create the bathroom of your dreams, whether it’s one that’s ready-to-fit, or a design in mind that needs creating from scratch. We can help you with your bathroom installation and create the ideal place in which to relax, bathe and unwind after a busy day, in the bathroom you always wanted. Call us today and we can arrange a time to discuss your needs that’s convenient to you. What Are The Benefits Of Biomass Boilers? Biomass boilers are affordable and provide a heating system that works. The price of wood fuel can vary, but it is much cheaper than other available heating options. You may also be interested to know that wood fuel boiler systems are also eligible for Renewable Heat Incentives and they’re low carbon, so they’re kinder to the environment. What Are The Advantages Of Biomass Boilers? Because biomass boilers are wood fuelled heating systems they’re of great advantage to your purse and to the environment. They can be replaced fairly quickly when used, because re-growing new plants is relatively easy in comparison to regenerating coal. Wood fuelled heating is also carbon neutral because what it releases in carbon dioxide is reabsorbed by plants. Also, if you were to replace an electrical heating system with wood fuel, you’d be reducing your output of carbon dioxide by nearly 10 tons per year. Another fact worth taking into consideration is that oil and gas prices are increasing, and this isn’t going to change, but wood fuelled heating is price stable, so your bills aren’t going to soar. Biomass heating is about the same price as gas, but cheaper than electric or coal, so they’re definitely worth considering if you want to replace your current heating system for something more cost efficient. Any Disadvantages To Biomass Boilers? They need cleaning regularly - usually around once a week - but if you do it regularly, you get used to it and it gets easier. You’ll need to keep your fuel very dry, so that it burns efficiently, so give storage some serious thought prior to going ahead. Repairs And Servicing Are Easy And Efficient With Hometech. With Hometech, you need never worry if your environmentally friendly biomass heating system needs servicing, because we have a dedicated expert team that are trained and experienced to take care of things. At Hometech we focus on the customer and aim to please, striving to provide a reliable and valuable boiler care service. We provide a specialist biomass boiler repair service from a team of experts who have experience in dealing with this type of heating system. If you’re having any problems with your current biomass heating system, give us a call and one of our dedicated experts would be more than happy to help you. As a landlord are you fully compliant with the latest gas safety regulations? If you’re a landlord, you’ll already be aware the different laws and regulations you need to abide by when you rent out your property, but are you aware of the latest gas safety regulations and are you compliant? The gas safety certificate or gas safety record as it is more often known, is required by law. You can read about this in more detail in the Gas Safety (installation and use) Regulations 1998. What are a landlord’s responsibilities in looking after their property and tenants? If you’re a local authority, a housing association, hostel, co-operative or private sector landlord, and you own a residential property which you rent out, then you’ll ultimately responsible for maintenance, gas safety checks - including a record of this for the tenant, and any useful information for them - so they can operate any gas facilities safely. This also applies to those who own bedsits, B&Bs and hotels. Also included is rented accommodation used for vacations, such as chalets, flats, caravans, narrow boats, and cottages. You must ensure that a qualified and registered gas safety engineer and/or plumber carries out a gas safety check, and confirms by signature that they’be done so. What Landlord Services do Hometech, Edinburgh and West Lothian provide? Here at Hometech we provide quality servicing and repairs, installations and plumbing solutions. We also provide gas safety certificates and carry out gas safety checks. Don’t ignore your legal responsibilities, let Hometech carry out your gas safety checks. We also provide PAT testing, installation of smoke alarms and legionella testing. For all your landlord services call Hometech Heating & Plumbing and give yourself peace of mind. We’re all professionally trained, qualified and knowledgeable in all of the areas we’ve discussed above, so you know where to find us if you need a property checked and tested for safety. Should you Invest in Underfloor Heating? There are plenty of good reasons why you should invest in underfloor heating, although it’s easy to see why it could be seen as an extravagance. It’s a long-term investment, but one that you should seriously consider. Our latest blog examines this in more detail. Boiler Service: Why is it So Important? We’re going to be looking at the importance of a boiler service. It’s important because without making sure it’s in full working order you put yourself in danger of a gas related accident, you risk needlessly wasting energy, and also find yourself unable to heat your home effectively. As we’ve already mentioned, it’s very important that you service your boiler regularly because a faulty one could cost lives. A boiler that’s working properly can be extremely dangerous, and it isn’t just because of a potential explosion, many people end up in hospital with carbon monoxide poisoning because of leaking boilers. We’ve also briefly mentioned how you can waste energy if your boiler isn’t working properly. If you have a faulty boiler then it may not run as efficiently as you’d like, which means that you’re squandering energy and losing money. Also, consider the carbon footprint you’re leaving behind. If you have a fully qualified engineer to service your boiler to make sure there are no faults, and that it's running efficiently, you’re protecting not only your home but your purse. You’re likely to save money in the long-term by making sure your boiler is in tip top condition. You’ll reduce fuel bills and make sure you do something to help the environment by reducing your carbon footprint. If you have insurance on your boiler, then you need to make sure it’s still valid. Most boilers have warranties and if you run a business on commercial premises will require a boiler warranty so you can ensure the boiler’s safety. If you have your boiler service carried out annually then this should be sufficient for most insurance policy requirements. Always check that this is the case with your insurance provider. When should you have your boiler serviced? The best time to have your boiler serviced is usually during the summer months. You’ll be using your boiler a lot during the autumn and winter months due to the cold weather, so during the warmer months is probably best. You’ll need to turn off your boiler before a service, usually about an hour before, so this will leave you with no heating, so warmer weather is best. Don’t put your health, your family or your home at risk, make sure your boiler undergoes a thorough servicing at least once a year. Here at Hometech Plumbing & Heating we have a team of professionally, trained and qualified heating engineers who are amply qualified to carry out a boiler service. Get in touch today and we can arrange a visit to your home or business. 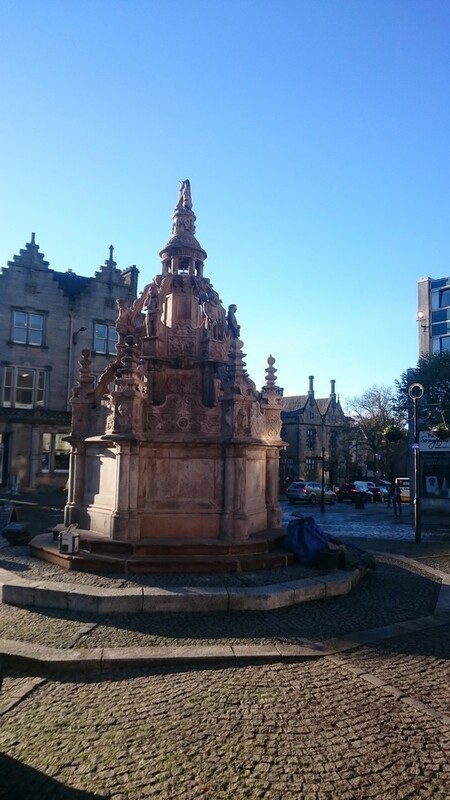 The Linlithgow Cross Well is an important heritage feature in the town but had been suffering from many years of neglect. The Well has existed on the site in some form since 1535, having suffered damage and restoration a number of times. The Cross Well's design is an elaborately carved crown with a stepped base and distinct decorative features, including animal heads and other ornate carvings. This most recent work included restoration of stone works, floodlighting and the water supply for the return of the water works, with this final aspect being undertaken with pride by Hometech. We created a detailed plan of the work required to restore the water works to their former glory as you can see in the images attached. We carried out extensive work on the piping underground and leading into the Well as well as using a modern pump system to ensure it works perfectly for many years to come. The entire project, including all other aspects of work such as stone-work, took 8 weeks to bring the Well back to life and make it a feature the town can be proud of. 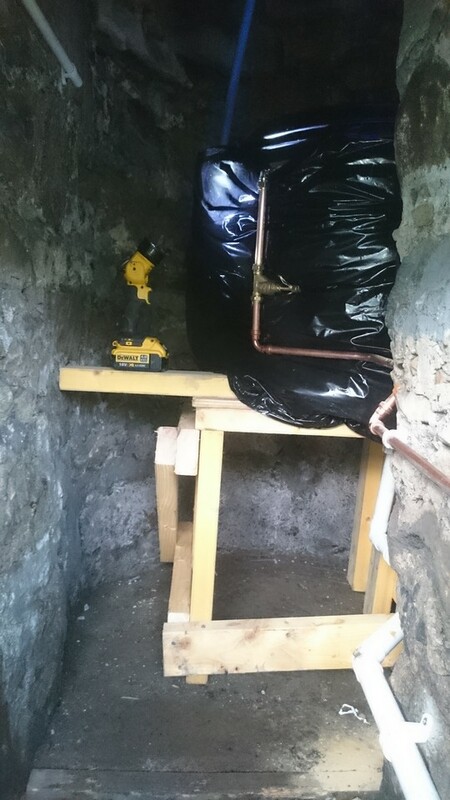 The chamber below the well had a time capsule installed with contributions from local organisations and schools for future generations to discover and enjoy. A powerflush removes rust, debris and sludge from your central heating system by thoroughly cleansing it. You should care because if you don’t clean your system regularly it can become less efficient. How can you know when your heating system needs a powerflush? If your boiler is making loud noises and they’re little different to the usual noises you’re accustomed to, then you may have a problem. Excessive noise, dirty or cloudy water and a heating system which takes a long time to warm up could mean it needs a thorough cleanse. You may also notice a build-up of limescale. 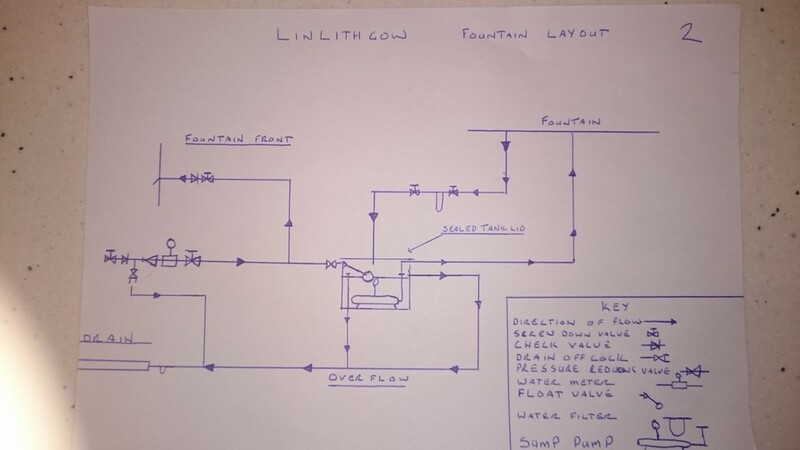 The purpose of powerflushing is to help circulate the water around the heating system successfully with no noise, and to help eliminate the contaminants which cause the cloudy, dirty water. What Happens With a Powerflush? One of our heating engineers will use a powerful pumping unit capable of high to low pressure, which can either go to the circulation pump or pump head, depending on which type of boiler you have. The chemicals we use will include something powerful enough to break the sludge and remove it successfully, usually a descaler and corrosion inhibitor which will put a stop to further rusting. Both crust breaker and remover will be acid-based, and will be powerful enough to put an end to any particles which may have settled in the boiler, pipes or radiators. Don’t worry about the acid, there will be none left in the water once the process has come to an end. The estimated time for a power flush is around 6 hours, but it could take longer depending on the state of your central heating system. It could even take less than 6 hours if your system isn’t too badly affected. A power flush can help you save money in the long-term, because if your heating system is working properly, your heating bills will reflect that. An inefficient central heating system will work out more expensive, so having it flushed will give you better results. At Hometech we only use trained professionals to carry out the power flush process, making it safe and clean helping you to eliminate noisy boilers, pumps and radiators. If you’re having problems with your central heating system and you suspect it’s not working as well as it should be, get in touch with us here at Hometech and we’ll be happy to talk it through and take a preliminary look. If you’re toying with the idea of having underfloor heating, then perhaps we can persuade you of its benefits. After all, the winter approaches and we believe underfloor heating is something you could really benefit from during the frosty mornings ahead. Read on to find out why we think underfloor heating is a really good investment for your home. Underfloor heating can work seamlessly with heat pumps so that concentrated heat travels via a heat pump to give you hot water, while at the same time, creating a warmly heated room at a low temperature. It helps you to have renewable energy heating, and it delivers controlled heat to your home so you can control your heating bills better and reduce your carbon footprint. This is good news, as we’re all increasingly concerned with the impact we’re having on the environment. You may be surprised to learn that underfloor heating is easy to maintain and once it’s been fitted, it’s rarely in need of repair. It’s a great source of energy whether it’s water or electricity based heating. Please make sure that if it is water based underfloor heating, it’s installed to BS EN 1264 standards so it’s safe to use. They can guarantee 25 years at least from a water based underfloor heating system if it’s installed to these standards. Another clear advantage from underfloor heating is that the whole floor area is heated, which gives you consistent room temperatures and it generates more heat than conventional radiators. What you also might want to consider is that an underfloor heating system gives you ample opportunity to design your room layout as you wish. You can place your furniture where you want without having to consider where the heating supply is, and you won’t lose space due to radiators. Underfloor heating is controlled with a thermostat and gives you the flexibility to control the heat in each room. It can be controlled in such a way as to heat only the areas of the house which need heating, avoiding energy and money wastage. There’s also less risk of injuries to small children e.g. burns, as the heat source is out of sight. For allergy sufferers it’s a real source of comfort, because unlike with other types of heating using convection currents, there’s no airborne dust to worry about. Get in touch with one of our professional team members and ask us about underfloor heating, once you have it installed, you’ll never look back. Our team are all professionally trained and we’d be more than happy to show you the work we’ve done before. 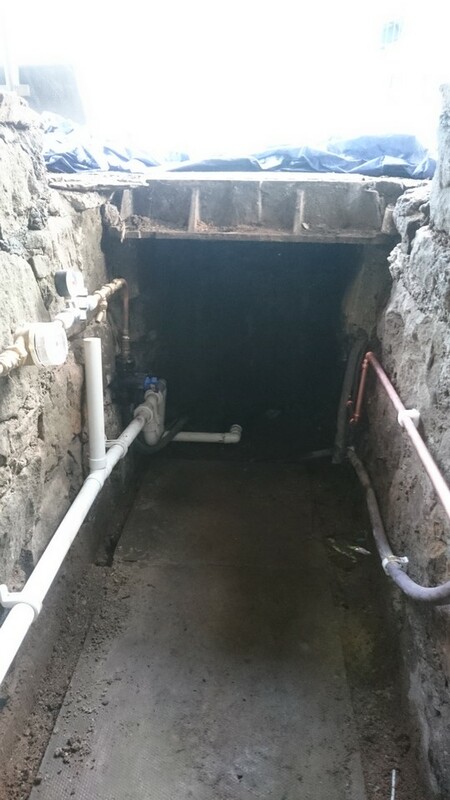 Plumbers provide service that almost everyone will use at one time or another, so it's important to know what you should be looking for to ensure you hire a plumber in West Lothian that is up to the job. Here at Hometech we consider ourselves the perfect choice for anyone looking for a plumber in West Lothian. We have a team of fully qualified and experienced plumbers and provide ourselves on providing a consistently excellent service. How Do You Go About Choosing a Plumber in West Lothian? A good place to start is by asking your friends, neighbours and your family who they’ve used in the past, as well as checking their online reviews and testimonials. You’re looking for first hand accounts of what their previous clients think of them. Perhaps they’re part of a guild, in Scotland check for SNIPEF (Scottish and Northern Ireland Plumbing Employers’ Federation). When your plumber is a member of this Federation then you know you’re getting qualified and trained plumbers you can rely on. There are other trade associations to look out for to ensure you hire reliable plumbers. There’s the Association of Plumbing & Heating Contractors (APHC), and also look out for membership of the Chartered Institute of Plumbing and Heating Engineering (CIPHE). Is Your Chosen Plumber Gas Safe Registered? 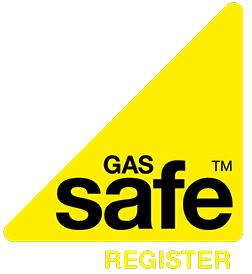 If you’re going to be needing help with your gas supply, then finding someone who’s registered with the Gas Safe Register is essential. This way you’ll be using someone who’s qualified and safe to work with gas. Your questions should include the following, but do ask as much as you think you need to before making a decision. Do they have references, testimonials, examples of past work? Do they offer a guarantee, and is the guarantee backed by insurance? What type of insurance do they have, will it cover your property? What additional costs are there apart from parking, travel and possibly waste disposal? While you are asking these questions take note of whether they explain things clearly without jargon and are transparent about their prices. When you come to play your plumber you want to ask how he/she wishes to be paid. This may be via instalments, or perhaps an upfront deposit followed by the full balance once the job is completed and you’re happy with the work. Please consider Hometech on your shortlist of potential plumbers in West Lothian. We have developed a fantastic reputation for quality work and customer service with our team of qualified and experienced plumbers. Get in touch today to arrange a free consultation and quote. If you’re unaware of what an air source heat pump is then this post is going to help you to find out. What’s more we’re going to explain the benefits too, because air source heat pumps are a great way of heating your home. An air source heat pump absorbs heat from outside air. The heat, once it’s been captured by the heat pump is then used to heat underfloor heating systems, radiators, convectors and hot water. Well, what it does is extract heat from the air outside, using methods not dissimilar from the way a fridge extracts heat from the inside. They do use electricity, so they have an impact on the environment. However, the extracted heat comes from the ground, and water or air is renewed naturally. Should I Invest in This Type of Heating, is it Suitable For Me? You will need to ask yourself some questions first to ascertain whether or not this is right for you. Do you have somewhere where you can put it? - it’s going to have to go outside, on a wall or on the ground. Your home needs to be well insulated, is yours? - Your home needs to be draught proof as well as well insulated so this type of heating system works. What type of heating do you have currently? - It needs to be replacing either coal or an electric heating system. If you’ve been using gas, then a heat pump may not be an ideal choice. What type of heating will you use alongside your heat pump? An underfloor heating system is better than a radiator based system. They can save you money and they’re cheaper to run than both oil boilers or traditional electric heating. They save on carbon emissions and save on space as there are no storage requirements. They’re safe too, as there are no emissions or combustion involved, and there is no need for a flue. They require very little maintenance and are cool in summer as well as warm in winter. Naturally you’ll still have to pay bills because it’s powered by electricity. If you were having problems with your old heating system prior to this one, then you will see benefits in money saving with having a heat pump. The controls will help you to have power over what you’re using, you can have a lower setting on the thermostat so you save on energy bills. When it’s installed, you’ll find out more from your installer on how to use it. If you like what you hear, then get in touch with us here at Hometech heating and plumbing, and we can talk you through what needs to be done in order to get your air source heat pump installed. We’re here to help and all the members of our team are helpful, fully trained and knowledgeable on all aspects of heating and plumbing – get in touch today. Boiler Replacement – What are the Benefits? Thinking about replacing your boiler? It might be a good idea when you consider how beneficial it will be in terms of lower heating costs, efficiency, improved heating control and cost savings. If you’ve been struggling with an old boiler, then perhaps now’s the time to have it replaced while the summer weather’s here, and before the colder climates arrive. In today’s post we’re going to be talking about the benefits of boiler replacement and why you should consider it. Firstly, let’s look at the benefit of low heating costs. If your boiler is quite old, then a new one can not only be more efficient, but also more cost effective. You can choose a high-efficiency condensing boiler which comes with a complete set of heating controls. This in itself can help with energy saving, giving you more control over how much heat you use and how little you waste. The good news is that most boilers you buy today are extremely energy efficient being between 88% and 90%. If you move from a fairly recent boiler that is 88% efficient, and change it to a boiler that’s 98% efficient, won’t really show you much in the way of savings. It’s only if you’re changing from a really old boiler to one of the new energy efficient boilers. Comfort levels can be improved exponentially with better heating control, this means that rather than have a room too hot or cold, you can control the thermostat much better and have the room at an ideal temperature for you. You won’t always want rooms heated that are not in use, or if you’re heating the room solely for guests, you can keep it low until they arrive. This helps avoid unnecessary heat in the room, keeping the energy bills low. In the long-run, it will take time before you see the benefit of any cost savings, it’s not easy to see how long it will be before it starts to pay for itself. However, what is certain, is that you will make savings on a new boiler if you’re changing from an old one to one of the newer efficient boilers. What’s more, your boiler could add value to your property should you decide to sell in the future. If you’re concerned about the environment, then you’ll be pleased to know that a more modern boiler can help bring down carbon dioxide emissions considerably, which means you get to make your contribution to the environment - simply by replacing your boiler. If you’re thinking of changing from an old boiler to a new one, get in touch with us here at Hometech Heating and one of our professional team members will be more than happy to talk you through it. We offer a first rate boiler installation service that guarantees reliability and safety for all our customers. Give us a call today.